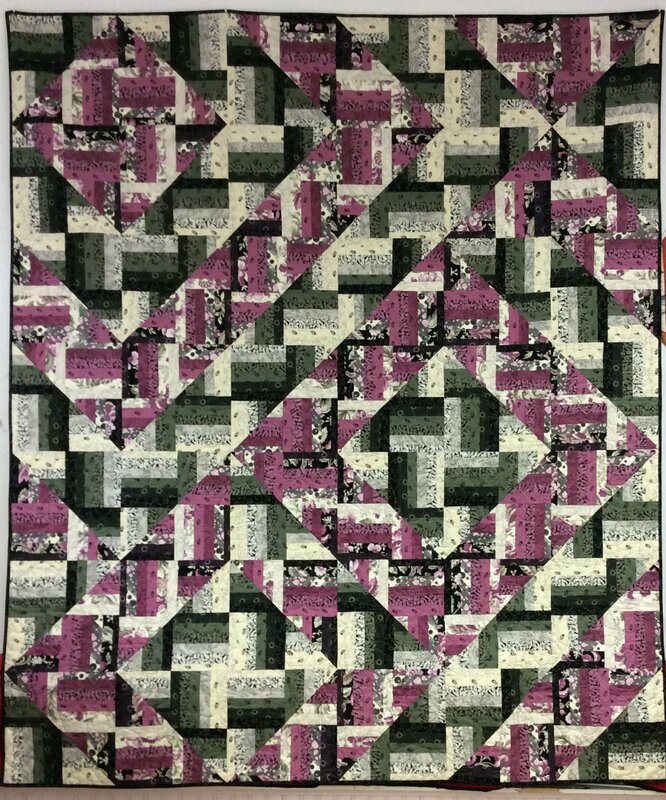 Featuring the French Connections fabric line designed by Marsha McCloskey for Clothworks, this stunning quilt uses the Rockin' Rail Fence pattern by Sandy Bonsib for A Quilter's Dream and measures 66" x 77". Your Patchwork Garden kit includes all the fabrics for the front and binding. Make sure to add the Rockin' Rail Fence pattern in your shopping cart.